Featuring among the top five FMCG players in India, with a turnover crossing Rs. 13,000 crores, Ruchi Soya Industries Limited is the flagship company of Ruchi Group of Industries. Besides being a leading manufacturer of high quality edible oils, vanaspati, bakery fats and soya foods, Ruchi is also the highest exporter of soya meal and lecithin from India. Nutrela (soya chunks, granules and soya flour) is the largest selling soya foods brand in the country. 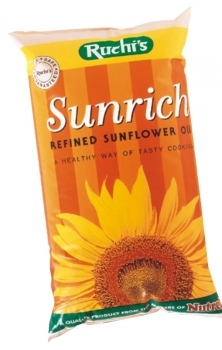 Ruchi is a leading branded edible oil supplier. Nutrela Soyumm (Soyabean Oil), Ruchi Gold (Palmolein Oil), Mahakosh, Sunrich (Sunflower Oil) and Mandap (Mustard Oil) and new healthy oil variants like Nutrela Vitamin Sunflower oil and Nutrela Groundnut oil make Nutrela a trusted option in edible oils. Superior procurement and trading skills, continuous innovation, an endeavor to meet consumer needs and stringent quality control standards have enabled Ruchi to emerge as a highly-respected and admired Indian company. Ruchi Soya Industries Limited is listed on Bombay Stock Exchange Limited (BSE Code: 500368), National Stock Exchange of India Limited (NSE Code: RUCHISOYA) and Delhi Stock Exchange. Over the years, Ruchi Soya Industries Limited has grown to become a multi-million US Dollar company. Two of our strongest brands, Nutrela and Ruchi Gold are category leaders. Nutrela, the most respected soya foods brand in the country, enjoys sizeable market share. It has enjoyed the trust of consumers for last 24 years now, and continues to expand its range to cater to varying needs of its consumers. It has become generic to the soya category. We have effortlessly strived to educate people about health and goodness of soya as our firm commitment is to provide healthy solutions to the consumers. Our edible oils brands like Ruchi Gold and Nutrela Soyumm enjoy mass acceptability and acclaim from the people. Ruchi Gold is the leader in the palmoline category. 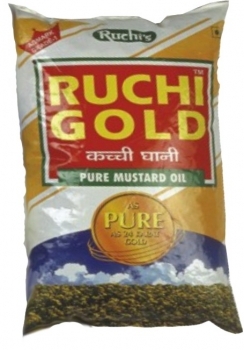 As a part of packaged goods thrust, Ruchi Gold was introduced in Chennai. Today, it enjoys leadership position in branded palmoline oil category. 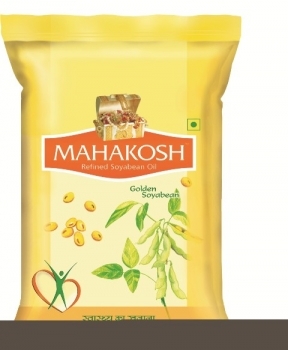 Mahakosh Refined Soyabean Oil is known for its purity and premium taste, its nutritional qualities enhance its health quotient. It contains fats that may help in reducing serum cholesterol levels and omega-3 fatty acids that protect against heart diseases. Nutrela Soyumm ranks in one of the most popular oils in the category, and continues to strive to reach the top position. Both brands symbolize health and quality. 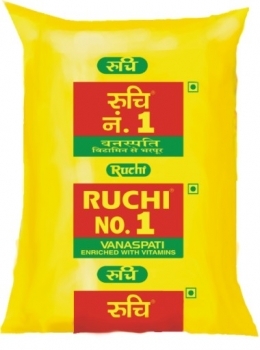 We are also a leading vanaspati manufacturer with brands like Ruchi No. 1 and have also ventured into bakery and special fats category. Dun and Bradstreet Award for the No. 1 food processing company of India.